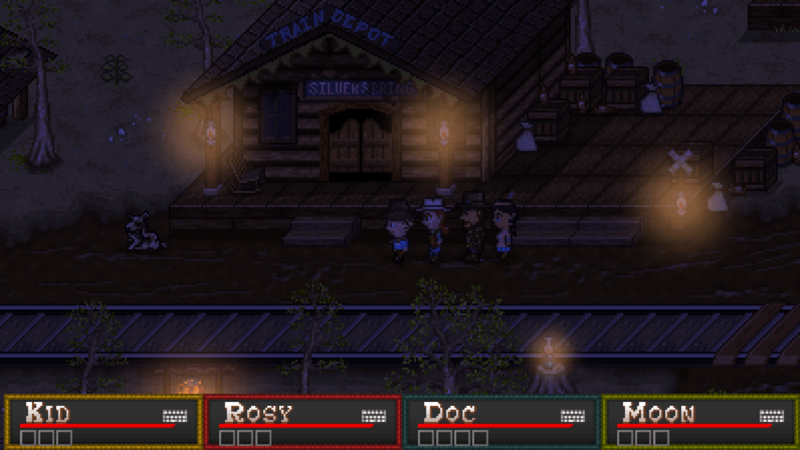 If you’ve ever wondered what EarthBound would be like if it were set in the Wild West, the answer would be something like Boot Hill Heroes. It combines the gameplay of SNES-era RPGs with all the tropes of a Spaghetti Western. 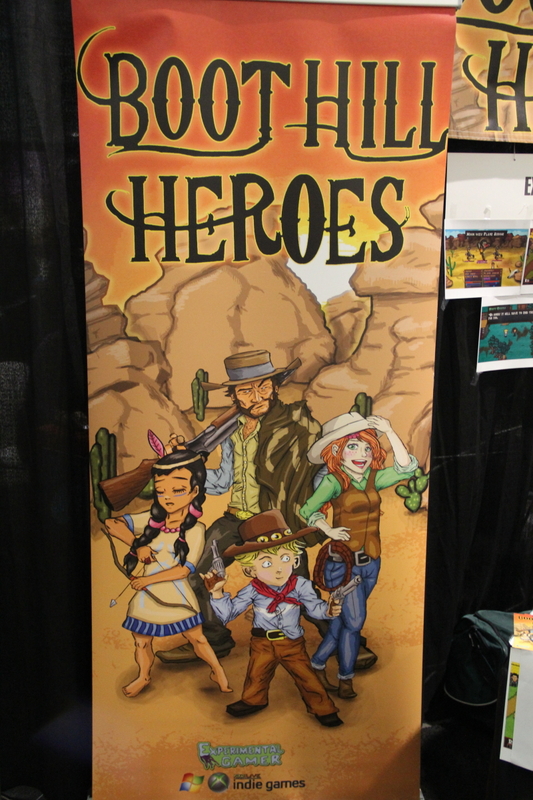 Boot Hill Heroes Part 1 is available for Windows and PlayStation Mobile-certified devices, including the Vita and Sony Xperia devices, and was playable at PAX East 2014. But there was something else playable, as well: an early demo for Part 2. While Boot Hill Heroes Part 1 is a complete game on its own, Part 2 isn’t so much a sequel as it is a continuation of the story, picking up where the first game left off. The game’s design and mechanics are very similar, as well. After approaching Experimental Games’ booth, I had a rather unique experience. Instead of sitting down to play the game myself, developer David Welch joined me, and we went through the demo together using the game’s local multiplayer. The game supports up to four players, one for each character. But since there were only two of us, we each took control of two characters. He controlled Kid and Rosy, while I took command of Doc and Moon. Dave took the lead, walking around the town explaining each aspect of the game as it became relevant, while I tried to soak up as much information as I could while still exploring parts of the game myself. In the multiplayer mode, while one player is controlling the party, the other player can still access the menus, examine a character’s stats, and change their equipment or abilities. 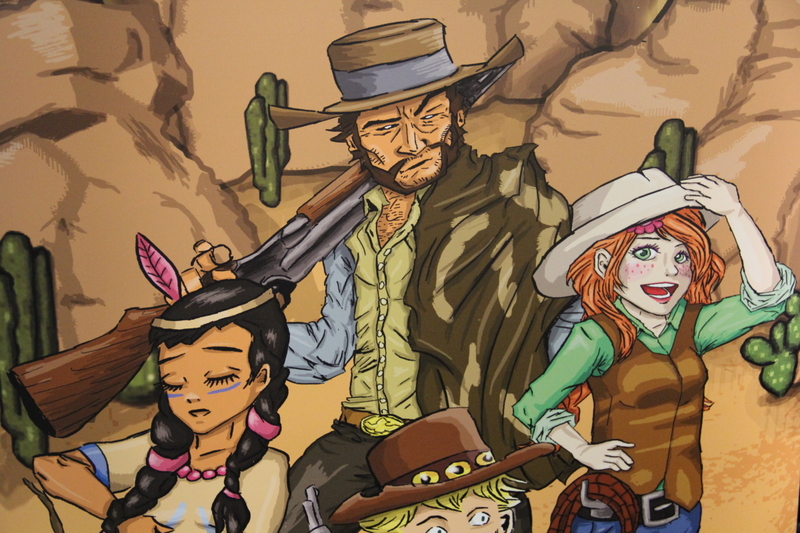 The Western motif expands beyond the setting. Besides the town looking like one from the Old West, with saloons and snake oil salesmen, the text box looks like the wooden signs you’d find in that era. Even the music gets in on the action, providing a distinctly Western soundtrack. The battle system has a slight twist on the classic turn-based combat of the classic games. Each character in battle (including the enemies) has an energy bar that is constantly refilling itself. You choose your attack by selecting it from a menu. There is an energy cost associated with each move, with more powerful moves needing more energy to cast. The required energy is deducted from the character’s energy bar, and if the character’s energy is too low, they must wait to perform the move. Selected attacks can be canceled anytime, meaning you don’t have to worry if you need to change your strategy mid-battle. The best part of this is that you can see your opponents’ energy bars, as well. That means you can tell how much time you have before they attack and gauge how powerful that attack will be. As we got ready for the final boss of the demo, Dave told me the majority of players had failed to defeat the final boss due to an unbalanced mechanic regarding the enemy healing himself. But we tried, anyway. My usual strategy for fighting bosses I’m unfamiliar with is to stay as conservative as possible. I pretty much became the party’s healers, since my characters were the ones with healing abilities. Using Moon’s Moonbeam (healing) and Doc’s Patch Up (revive), I kept everyone alive. It seemed to work, as we defeated the boss with little trouble. 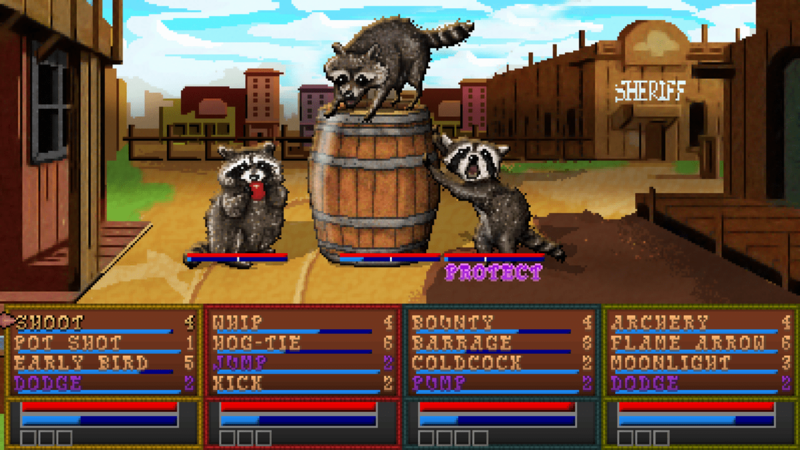 If you’re looking for an old-school RPG with a non-traditional setting, then Boot Hill Heroes is the game for you. It is definitely worth checking out. You can find out more on the Experimental Gamers website, and you can vote for it on Steam Greenlight. Part 2 will be coming out later this year.